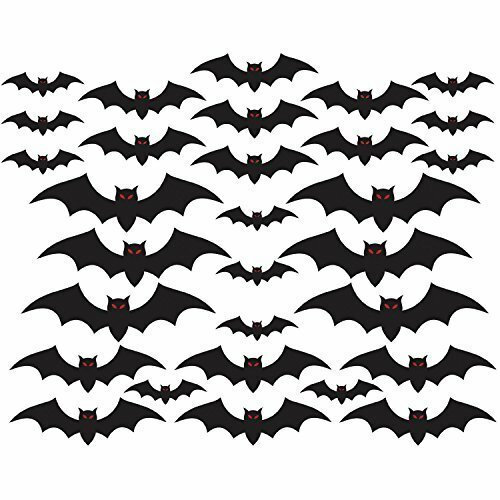 Create your own "bat cave" with this set Halloween Cemetery Bat Cutouts. This 30 piece value pack lets your imagination run free. 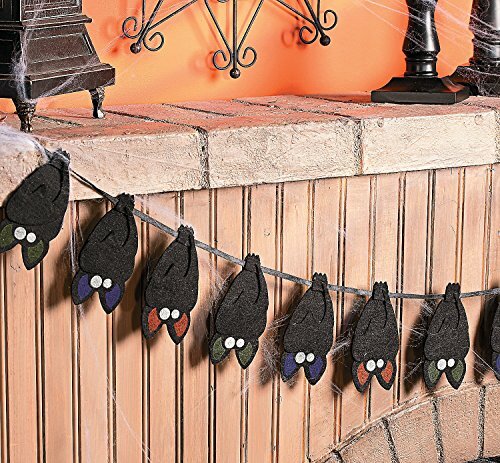 These spooky black bat decorations are made of sturdy cardstock, feature jagged wings and red eyes! The cutouts come in four different sizes, 7", 10", 12" and 17." You can stick them flush to the wall or bend their wings for a 3D effect. Add some creepy cave dwellers to your spooky Halloween decor. 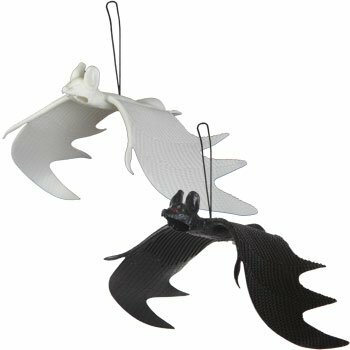 Rubber bats with 11" wingspans are perfect for hanging from any corner, ceiling, windowsill, doorway, or rafter to add a little extra fun for Halloween. 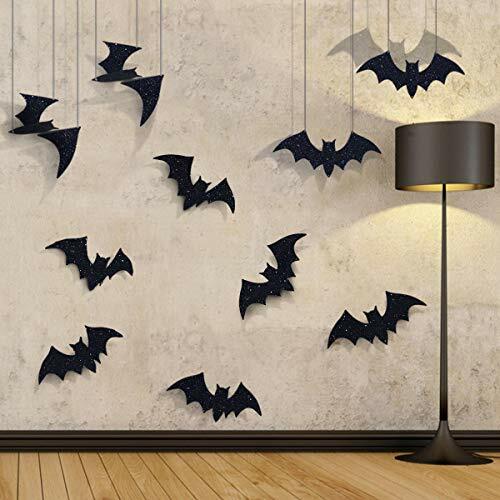 Layered Bat Garland. 5"h Bats. 60". Felt. Add more excitement to your Halloween party. They are surely good decorations with the glow bat eyes. Material is felt. The sales unit is 1 piece. It measures 60 Inch. 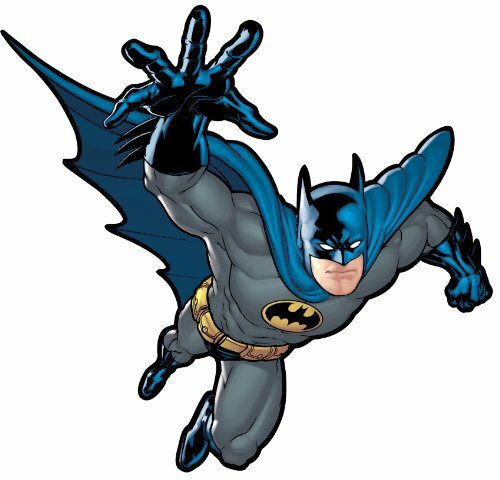 Bats are just rats with wings, but they are one of the most feared creatures despite their small size. 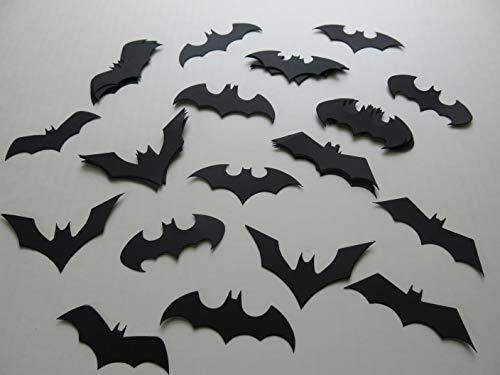 These black bats however, are anything but small! These can be hung in door ways, from the ceiling or on the walls to help decorate and set the scene for your party! These bats have a wingspan of 24" wide. They look realistic and detailed. 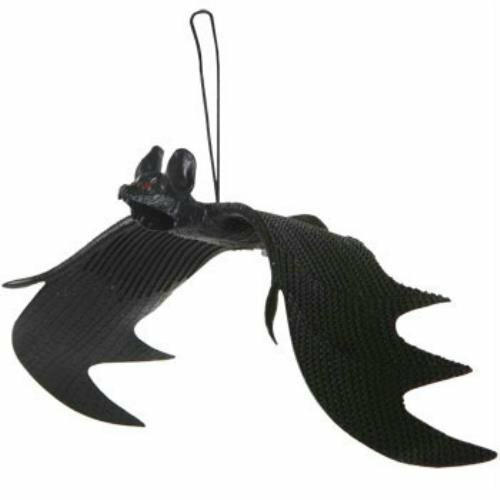 Turn your home into a batcaver and freak your guest out this Halloween! These are great on their own, and even better with the other decorations, costumes, and accessories in our store! 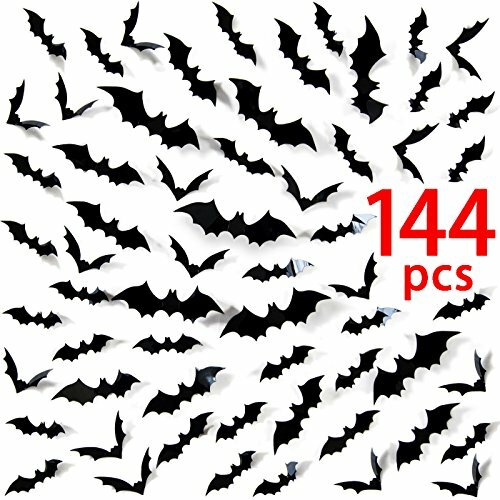 Cute Bats confetti for your Halloween party! Color is Black Cut from 65 pound cardstock 24 Piece Size and styles vary, 2.5-3" across. Want a different color? I am happy to make you a custom order! I have over 30 colors in my shop! The photos used in this listing belong to Always In Blossom. Please do not use these photos on any websites or blogs without my permission. Add some creepy cave dwellers to your spooky Halloween décor. 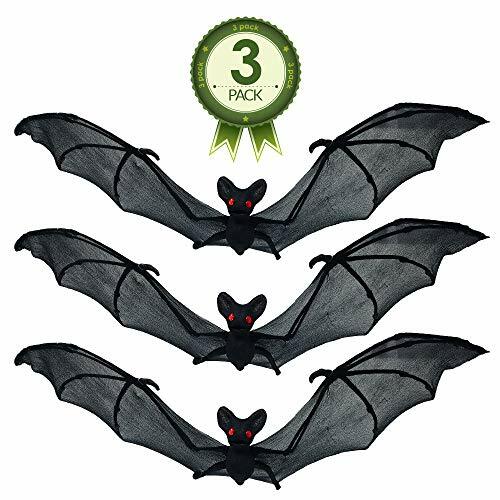 Rubber bats with 11" wingspans are perfect for hanging from any corner, ceiling, windowsill, doorway, or rafter to add a little extra fun for Halloween.